Ford Motor Co. said it would stop producing cars in Australia in three years, foreshadowing hefty job losses in a setback for a government that has invested heavily in propping up the country's automobile industry. The U.S.-based auto maker said it would end more than 90 years of car production in Australia in October 2016, resulting in 1,200 job losses. It cited unsustainably high business costs, with wages singled out as a particular concern. The development was officially revealed by Bob Graziano, CEO & President, Ford Australia. In a press conference yesterday, Bob stated that the company has reported losses to the tune of $600 million over the last five years, including $141 million in last fiscal. (figures in AUD). "The business case simply didn't stack up," Ford Australia's Chief Executive Bob Graziano said. "Our costs are double that of Europe and nearly four times Ford in Asia." Ford's problems aren't entirely reflected across Australia's car industry. Auto sales overall last year hit a record, fueled by rising sales of SUVs, according to the Federal Chamber of Automotive Industries, an industry group. Toyota, which topped sales in 2012, has said it is seeing growing demand for its Australia-built models in the Middle East and Southeast Asia. 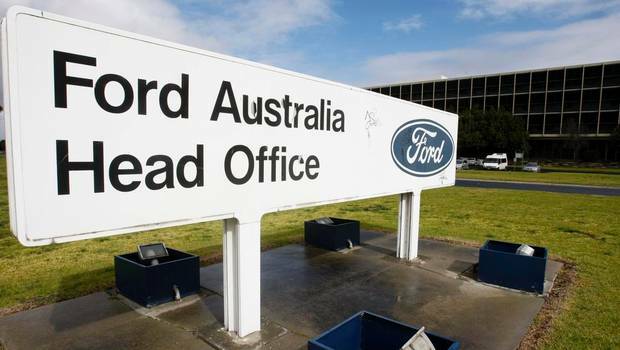 Ford Australia will remain, maintaining about 1,500 staff in research and design, the company said. That is small comfort for Mr. Fuller and colleagues, who worry the market for their skills is shrinking.